One of the country’s most extensive collections of authentic Latin American folk art returns to San Diego this weekend. Bazaar del Mundo’s annual Latin American Festival and Mata Ortiz Pottery Market will feature extensive collections of authentic folk art from more than 25 artists from Mexico, Peru, Guatemala, Ecuador and other countries. There will also be live demonstrations on wood carving, rug pulling and clay painting, as well as music and Mexican cuisine. Latin American Festival and Mata Ortiz Pottery Market go from 10 a.m. to 8 p.m. Friday and Saturday, and 10 a.m. to 5 p.m. on Sunday. Admission is free. This weekend independent filmmakers from all over the world will have the films screened and judged in one of the first major film festivals of the season in San Diego County. The Oceanside International Film Festival showcases feature films, documentaries, shorts, animation and student films. There are special blocks each day dedicated to different genres. The film festival goes through the weekend and screening times vary. Film buffs can buy a festival pass for $25 or buy a single-day pass for $10. Bon Odori, or the Bon dance, is a Japanese Buddhist festival honoring the dead. 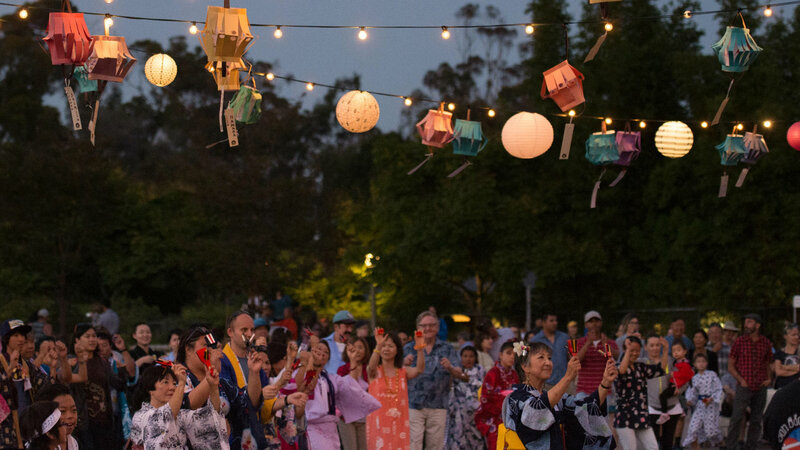 This weekend, the Japanese Friendship Garden and Buddhist Temple of San Diego host the 4th annual Bon Odori Festival. The will be a variety of merchants selling authentic Japanese wares as well as family-friendly activities and Japanese festival foods. There is also a beer garden, tea and desert garden as well as cultural performances. Bon Odori Festival goes from noon to 8 p.m. Saturday and 11 a.m. to 9 p.m. Sunday. Tickets are $12 person and $10 for children, seniors and military. You’d think that Lemon Grove, with its giant lemon monument, was once the lemon capital of the world, but the distinction belongs to Chula Vista. The city was once the biggest producers of the sour citrus fruit and the city is hosting the Lemon Festival to celebrate this part of its history. The event features lemon-infused activities including live bands, sour contests, a kid’s fun zone, a craft beer garden and hundreds of festive booths. The Chula Vista Lemon Festival goes from 10 a.m. to 5 p.m. Sunday at the Third Avenue Village, 353 3rd Ave. Admission is free. After 18 years, the La Jolla Music Society is saying goodbye to its music director, Cho Liang Lin, at the annual SummerFest concert series. The series kicks off this Friday with a celebratory Carnival music program featuring the music of Béla Bartók, Heitor Villa-Lobos and Camille Saint-Saëns. Vocalist Lyubov Petrova will also share the stage with cellist Lynn Harrell and eight other cellists. SummerFest opening night starts at 8 p.m. Friday. Tickets range from $49 to $79 with discounts of up to 25 percent currently available.